Apple has released OS X El Capitan 10.11.5 for Mac users, the update includes bug fixes and improvements to the Mac operating system and is recommended for all users running a prior version of El Capitan. The short notes attached to the 10.11.5 download suggest the update improves security, performance, and stability of the Mac operating system. It’s unclear if the final OS X 10.11.5 release resolves the freezing Mac issue with OS X 10.11.4, as the beta versions of the update did not seem to fix that problem. Users who are experiencing the freezing problem with Safari or with OS X in general should install the update and report back on their findings. The Mac must reboot to complete installation of OS X 10.11.5. Most users are best served by installing OS X updates through the App Store. The combo and regular updates are generally aimed at those performing multiple installations on multiple Macs through a single download, or with the case of combo updates, who are updating from several behind prior releases (for example, from 10.11.3 to 10.11.5). Separately, Apple has released iOS 9.3.2 update, watchOS 2.2.1, tvOS 9.2.1, and iTunes 12.4. Mac users running OS X Mavericks and Yosemite will also find Security Update 2016-003 and an updated version of Safari available. 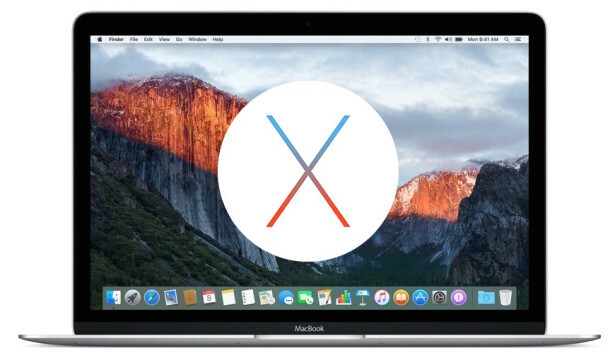 What has been your experience with OS X 10.11.5? Let us know in the comments. The freezing issue with Safari persists in OS X 10.11.5, Apple does not seem to have a lead on how to fix it. Retina Macs are impacted most. Use Safari for a while, and the Mac will freeze at random. Very annoying. MacbookPro 13″ 2010 duo core Freezes randomly with 10.11.5. Did a fresh install, better but still stalls. Have to do a hard reset. I would of never updated pass Snow Leopard. The thing is you need to update so you can get better features , also software support is gone if you don’t have at least OSX 10.10. I’ve tried all Mac OSX pass Snow leopard and had no luck on this 6 year old Macbook pro???? OS X 10.11.5 does NOT fix the freezing problem. If your Mac was freezing with 10.11.4, it will continue to freeze with 10.11.5. If you follow Apple and MacRumoro forums, it seems like Apple does not know what causes the problem. It’s a software issue, the freezing crash was introduced with OS X 10.11.4, the freezing problem is not fixed with OS X 10.11.5. Mine WASN’T freezing with the previous update and now it is so it appears this problem has gotten worse. No features and no improvements for average user. What’s the point of this one? I am an average user and “El Capitan” 10.11.5 (15F34) is way faster in my machine. Not all fixes are ones you see, knucklehead. I keep hoping they will fix the things they broke since Mavericks like AirDrop and various other bugs. Still no joy. GDamn It! Black Screen upon reboot on 10.11.5 delta updater ! Argh, you may be able to fix that black screen on reboot by running the Combo Update for OS X 10.11.5 over the failed installation. Let us know what works and how you resolve it! Fixed up by force quitting (ugh), disconnecting all peripherals, then booting into safe mode. Upon reboot, the progress bar finally appeared, and notified me that update still needed 3 more minutes to complete. Upon reboot, ran Disk Utility, rebooted again, checked Software update again (no available updates). Shut down, reconnected all peripherals, and restarted normally. Felt normal, but slow, but I attribute that to re-indexing. Geez, did not need that drama on a Monday morning. Yes, it was a matter of management “squeaky wheel”, alas. This user kept complaining about Safari freeze, and they notified me about .5 update and alleged Safari freeze fix. So I had to do it when they took lunch. Users who think they are ‘savvy’ are actually the worse. I prefer the “if it ain’t broke” motto for production machines, personally. I often use the Combo Updates nowadays to avoid trouble. Best of luck with the Safari freezing issue, I have it on a 2015 MacBook Pro and it has yet to be resolved, it’s hard to replicate reliably as well. I echo Patrick M’s comments. Don’t rush into software updates, it never benefits anything. If you need to do work on your Mac, stay several releases behind the current releases. Each time Apple dumps one of these, it’s really another public beta. There are nearly always problems experienced by someone, often by many someones. Let other people sort them out if you have real work to do. Maybe if your job is the typical corporate boredom of collecting a salary while fiddling your thumbs at a big company, writing a few emails, and attending meetings all day, then installing unnecessary software updates and managing whatever the problems that arrive with it sounds like a great way to pass the time and doldrums. For the rest of us who have jobs based on production and creation, we have no such luck, we need to produce, consistently, and we need stable workstations to do that. In my experience with OS X El Capitan, 10.11.3 was the best so far. 10.11.4 freezes frequently and is unusable in a pro environment. That the entire 10.11.4 release has been freezing for many people and that 10.11.5 mentions nothing to resolve the freezing issues is amazing, but sort of typical with how Apple handles problems these days by looking the other way unless Wall Street Journal et al picks up a story and publicly shames them into fixing it. For now, I will pass, again, unless there are some truly positive reports surfacing over the next few weeks. Ditto also passed on .4, but my rMBP is just for personal use. For years I have tended to update whenever a new release of OSX has been released or shortly after. However it seems that problems resulting from new releases have been increasing & unfortunately I am no longer as trusting of my Mac ‘just working’, so have become more cautious. I am so pleased I decided to stay with 10.11.3 on my 2014 retina MBP. As time passed since the release of 10.11.4 I was becoming ‘itchy’ to update, thinking that with the widespread reports of serious faults that Apple must have rectified the release by now, but apparently not. Guess I’ll stay with 10.11.3 until I see clear reports that there is a stable update. Hi- I am still running Mavericks. what should I do regarding updating to El Capitan, now that the newest version is out? I can never keep up, and then these kind of glitches happen and I am not sure what or how to upgrade. Thanks. KK – there’s an old saying “if it ain’t broke, don’t fix it” and that applies royally to Apple software!!!! I envy you still being on Maverick. El Crap has reduced my daily productivity by more than 35%. I regret upgrading after El Crapitan broke a LOT of things that were working fine. If you use legacy USB devices be prepared to find a lot of things getting bricked. I am now eager for every small update praying it will fix the stuff that is now broken. And I’m constantly disappointed. Bugs fixed pertained to enterprise Macs, not user Macs. No improvements for those experiencing the freezing issue, have looked thoroughly on website forums and found no mention of a resolution. What’s the point of releasing the update if they can’t patch the biggest problem facing the prior release? Maybe don’t release the update yet then!!! I wish I had stayed on 10.11.3, at least my Mac didn’t freeze in the middle of work!!! Is there a way to back up to a previous OS X version. Sounds like 10.11.3 is a favorite. Not unless you either reinstall from an earlier version of OS X El Capitan and then use the 10.11.3 combo update, or have a Time Machine backup from 10.11.3. For most users, OS X 10.11.5 should be fine, and most Mac users didn’t have problems with OS X 10.11.4 either. The freezing issue seems to impact some Retina Macs only, mainly the 13″ rMBP and the iMac 5k line. It garnered some press attention just a few days ago, but 10.11.5 was released too quick to include a fix. Maybe that means OS X 10.11.6 will be made, or maybe an update to specific Macs for the freezing issue will be released eventually. Or maybe not. Rightly or wrongly, I’m holding to a hypothesis that the last numbered update of each major OS X version (10.n) includes some sort of ‘blight’ which will at least take the shine off the user’s experience, thereby tending to transform mere “deprecation” of old builds into a more active hatchet job. Had to upgrade to ElCapitan for latest iTunes for my 6s phone. It was sluggish and annoying, not to mention the child like icons. Had MAC on phone 45 minutes; ended up going back to 10.6.8. If MAC thinks I’m getting an iMac cause I bought a new phone…. you must be dreaming. Might be time to go back to Windows and a Droid phone. My home Mac with Mac OS 10.95 runs flawless. I have a work Mac with 10.114 and it’s very problematic. I also use Windows 10, it works great. I need a new work laptop this year. I will look at what Apple offers with the 2016 MacBook Pro model, and with Mac OS 10.12. If it’s anything like it has been, it will be very hard to justify a $2200 expense when a more stable Windows laptop is available at half the cost. Been using OS X 10.6.8 since its release. Works great. I just use Firefox and Thunderbird for the latest security while browsing or checking email. I do also use the latest OS X version to sign my apps but that’s about it. OS X just isn’t what it use to be. Looks more like Linux with a bunch of features I don’t use. Plus it’s slower. Works perfectly! I did have to re-disable System Integrity Protection though, which is genuinely annoying. I read your email. You can re-enable SIP now. I’m still getting the problem where the ‘reply’ command (whether from the button, the menu, or Command + R) in Mail doesn’t work properly when Safari’s open. Last night I thought it had been fixed, but this morning it’s back again. 10.11.4 Wiped out the Tcl/Tk system extension libraries such as Img for 2 of my users. Does anyone know if 10.11.5 fixes this or is the combo update the only way to go? Currently have them working on copies installed as user libraries. This is happening to me too. Has it been resolved for you? I’m not going to keep running this over and over – the definition of insanity. I got a weird bug where I do not receive any Facebook notifications.. I’ve re-logged into my facebook internet account for a few times but I still couldn’t receive any notifications. However, notifications from other applications worked fine. I installed in a test VM from the App Store. My most important issues still haven’t been fixed, especially accessibility, and are clearly not going to get fixed. My host is and will stay Yosemite. This is a Retina 5K iMac and I can’t have an unstable platform. Why would you talk to a cosmetics company for 45 minutes about an Apple Mac? If that doesn’t work, you’ll need to restore from Time Machine. Using System Recovery reinstalling does not seem to work yet as Apple has yet to update their internet recovery process, you’ll get a “this version of OS X is too new” error. Oy vey. Remember when updates worked without a problem? That was fun, let’s get back to that again. A weird similar issue is getting stuck on a black screen after restarting the Mac. This seems to be a problem with the login window not showing up. If that situation happens, at the black screen, type your password and hit ‘return’ at that black screen. It will usually login and fix the problem. I don’t know why this happens but it does sometimes. Maybe /Library/Preferences/com.apple.loginwindow.plist gets corrupted during the update? From all I read, it seems if I move from my current Yosemite, with which I have no problems, I’d only be begging for to trouble with El Capitan. Any body want to dissuade me? That is the way with software updates. I have read you can stop the black screen on reboot problem by disabling Apple ID authentication for general login (Users & Groups > User > Change Password) before installing the OS X update. Not sure if it works every time, but have seen a few mention that doing that before installing the update prevents it. I’ve been using the mac since leopard 10.5 but 10.6.8 was the best version ever brought out by apple, since then it been a slide to the bottom with each new version. Each version came with the issue , and those issue were then transfer to the next version. I suppose this can happen when you outsource your programmers to other countries. My issue with wired lan on my Mac Pro 2008 started with 10.8, i still have dropped connection , whether it be from random drop off’s or if theres a lot of data transfer which can bring on drop off’s. And yet windows 10, running on a seperate drive/partition on the same the Mac Pro 2008, function more smoothly than I can get out of OS X El Capitan. When I transfer a terabyte or more of data from machine to nas , I always reboot to windows 10 to get the job done. P.S the latest update 10.11.5 install without issue but still a flaky network. Are you actually using Windows 10 or are you just fantasising? I just updated Windows 10 on a laptop, which I use about once every two week. Update failed to work on several triasl. Always said it downloading, but never got past 1%. Had to download a special Windows cache cleaner bat file to fix this problem. It still appeared stuck at 1%, but it actually downloaded. The download ran four hours. I let it run over night. Next morning I had to manually reboot. After another two hours of download and several reboots, I finally had my update running. Thank you very much Microsoft. I click on Update, the button goes light grey and then immediately returns to dark grey and nothing happens. Any ideas? Thanks. Try rebooting holding down the Shift key to see if you can get into safe mode. You may want to try getting the Combo Update and running it. You can also call official Apple Support, they tend to be helpful and usually go through the same troubleshooting steps you’ll find on the web. If all fails, hopefully you have a recent backup handy! Trying to upgrade a MacBook Pro to 10.11.15. Download completes and a reboot is required. On rebooting I get a frozen progress bar, the apple logo, and ‘Installing Software update’. Progress bar does not move after many hours. cmd + L does nothing. I have tried multiple forced reboots, including into safe mode but still end up with the same frozen progress bar. Any suggestions would be really appreciated. Worked fine for me. Updated via App Store. Didn’t bother with iTunes 12.4. I never use it. Thanks OSX Daily. Always check this site before OS updates. Are they EVER going to fix the parental controls issues? Or is that just not something they care about? Maybe Apple should just make OS X 10.12 have half of the options grayed out in system preferences, so we don’t have to bother fighting with the ones that don’t work. Hey… I just tried out Parental Controls and they seem to FINALLY be working! I don’t know if its just me or not be i’m happy as hell. Updated on monday, after update i could not open any application. System ultra slow and not working. Safe mode doesn’t work just seeing my wallpaper. Guest Account everything is working good. Reinstalled via cmd+r 2 times. No change! Did a TM restore and the old system works just fine. Today I tried again to update. Same problem. Now I need to Backup from TM again… I will not try again! That does not sound like a good experience. Did you use the App Store to update to Mac X 10.11.5 or the Combo Updater? If the Guest account worked fine, it suggests there is something up with the other specific user account. I did the appstore update. User just works on 10.11.4 and after TM restore. I could try create another user and then update. But this is to much work for a little update if it’s not working. There are more forum posts I found in other forums. Even for the older version. But for me it’s just on 10.11.5. (MBP 13″ 2010) since 10.11.1, .33 of boots can’t enable WiFi; .33 of boots say “no WiFi hardware present”; .33 of boots have enabled present WiFi which works, but within ~1or2hrs – the MBP freezes with a “tick of death” audio signal, or MBP auto-restarts into one of the first two modes. 10.11.2/3/4/5 fixed *none* of these bad behaviors. IMHO – Apple has lost control of OSX; perhaps that’s why they want to rename it? so stinky that they’ve lost control of the brand? at least some good news – it’s not bricking the iPad i’ll *never* buy – because Apple. If you’re seeing the “Wi-Fi: No hardware installed” error in Mac OS X you can usually fix that by resetting NVRAM and then resetting SMC. I’ve had that exact problem myself after updating system software. Both require a reboot, and you’ll lose some basic power settings, but it typically remedies that wi-fi problem. If you’re experiencing other unusual hardware issues though, it’s always possible there is a hardware fault somewhere, maybe liquid contact damaged something, or the logicboard is going bad. but that only works for one boot cycle – and doesn’t mitigate the “audio-click-of-death” syndrome after an hour or two. so – i’m at my wits end; time to ebay this MBP & switch to a non-systemd rig – OpenBSD? I would not recommend any Mac with only 4GB of RAM. 4GB of RAM is completely inadequate for a modern Mac OS X installation and frankly Apple shouldn’t even allow installing on a computer with so little resources available. You need as much RAM as possible for tolerable performance. After Snow Leopard the OS stopped being memory efficient and started being very memory hungry. The 2010 MacBook Pro is easy to upgrade RAM for, cost is about $50 and if you have patience you can do it yourself in just a few minutes. Maxing out RAM and getting an SSD are the two biggest performance boosts you can get out of a used Mac, and extend its life a bit. Of course, new MacBook Pro will be here next month, and so that may compel upgrades but it will surely cost $2000 or more for the good model. And with how Apple is going, “Pro” means very few ports and zero upgradability, so if you get a new MacBook Pro max it out to the specs you want immediately and hope to get at least four years out of the machine. First gen of new hardware designs are often problematic so you’re basically beta testing the hardware, I learned that lesson with the first time they went to Intel Macs and my MacBook Pro was generating so much heat it could basically cook an egg on the metal. Apple has much better support nowadays though, and they would surely swap such a computer out, back then they told me it was normal, hehe. Your point is well taken however, if Apple continues to mess up these software updates then they will lose customers because they have lost the reason to move away from Windows, which was primarily stability at the expense of cost. Now you can go to Windows for lower cost and about the same level of stability, that is not a good sign for Apple if that trend continues. I like Apple a lot, been using the Mac since the first one came out, even through the dark years so it would be a real shame to have that happen. Reboot into safe mode too, that may give access to User Preferences, create a new user and see if the problems are there. If they aren’t it is probably a preference or plist file messed up on the primary user account, which is easy to happen over time. And hopefully you backed up the Mac before updating, always good practice in this modern era of dubious software releases. Reminds me of the “move fast and break things” motto except this is wholely inappropriate for production workstations that people rely on! Ted – THANK YOU THANK YOU THANK YOU; i slammed 16GB into the misbehaving MBP and *all* my WiFi issues have gone away. i’m an oldster (but still active) coder who never imagined that 1) 4GB wouldn’t be “enough” for OSX, but 2) if it wasn’t – that OSX would in 2016 “simply dysfunction” rather than reliably complain. after *months* of suffering – the MBP simply works again. shame on Apple. shame. next quest: to figure out who/what “pancake.apple.com” is, and why Safari keeps trying to contact such without my permission. btw – since 16GB is the max, i have to assume now that i’m SOL re: OSX 10.12 when such oozes out into the light of day. I would also highly recommend maxing out RAM whenever possible for optimal performance on a Mac. I have 16GB in my Retina MacBook Pro (2015 model) and I still manage to swap often. I hope we have a 32GB option for the next MBP update. Also, upgrading to an SSD drive will make a huge difference in performance as well, but it’s a bit more work than popping in some RAM modules since the drive needs to be cloned. The machine has frozen on the post-update restart, on a light grey screen with nothing but a white spinning cog. I’ve been staring at it in mounting horror for about 2 hours now, knowing that my last time machine backup was several weeks ago – as it got too big for its drive (yes, I KNOW!). And to makes matters worse, my shiny new 3tb airport time capsule is sitting here waiting to come out of its box winking at me and telling me what a fool I am. I had peripherals plugged in during the update but I’ve panicked and pulled them out. Wait a few hours and see if it resolves itself. You may need to wait many hours if the internet connection is slow, hopefully you are on reliable good internet service. – If it doesn’t resolve after many hours waiting, try rebooting, see if the installation completes. Sometimes it does. Weird, but it often works after a stalled install that sits for 5 hours or so. – Finally if there is no hope after that, you would need to restore from your prior backup made with Time Machine. Good luck, let us know what works for you. Installation problems shouldn’t happen but they sometimes do, and the above steps are fairly standard. Thanks, BT, for your helpful post. I force restarted and it went pretty much straight to the grey Apple loading screen with dark bar about half complete. Waited about 15 minutes and screen went black and then back to grey loading screen, then after another 5 minutes I was able to login. It’s very slow, hopefully just reindexing, but seems to have completed the update. Whilst writing I’ll say that I agree with the sentiments of many others here (& elsewhere). Apple has lost its magic. Their gear used to ‘just work’ but now, despite a class leading ecosystem and still great design, it is less intuitive and, more importantly, much less reliable, whilst still oh so expensive! I am fully invested in that ecosystem with MB, MBP, MBA, IMacs, iPads, Air this and Air that and 4 generations of IPhones for all the family, but I now feel like I’ve been duped. For years I was a strong brand ambassador (to coin the cheesy phrase) but I now actively discourage people to bite from the Apple, indeed I am actually taking advice on (gradually) moving away from them altogether. What’s the point of expensive hardware if you have only mediocre software? But hey, thanks for your time guys! Have just converted to Mac after having spent my entire computing life on PCs. Bought a massively spec’d iMac 27″ 5K. Plugged it in this month. After a day or so I got a screen prompt to update El Capitan from 10.11.4 to 10.11.5. Did as I was told… Duhh. Now… no Bluetooth so magic mouse won’t work. Luckily I have a USB numeric keyboard and not the standard issue new Bluetooth one so at least I can shut the thing down. Still… not having a functioning mouse renders a very expensive piece of kit… useless. Back now to a trouble-free Windows 10 laptop. I need my Mac to run my business – not having it means I cannot work and will lose clients. This is seriously unfunny – Apple don’t seem to have acknowledged the issue at all and there’s no fix posted online anywhere. I have tried everything suggested here and elsewhere. Anybody have any ideas? You should call Apple support and let them know you are having problems. People don’t report the troubles to Apple and they think everything is great and dandy and keep releasing junk software onto the world. Call them! The dead bluetooth problem is well known, I had the same problem when I upgraded to 10.11.5 and it was not the first time. Reset the SMC (and the NVRAM while you are at it, although I’m not sure this is really needed) and your bluetooth should start running again. I’ve done SMC (and the NVRAM) reset. And still it’s not working. Thought everything went smooth with 11.11.5 update and hoped it would fix a few irritating bugs, like app windows forgetting which screen they closed on and always opening on the monitor with the menu. Unfortunately, it didn’t fix any of the minor issues. What it did do, was kill deep sleep on my MP 3.1 Tower and all the attached drives (7). Fortunately, I had a back-up and went back to 10.11.4 where I will stay, since things just work and Second Bar (2nd monitor menu bar app) is doing a good job of keeping apps on the preferred monitor. Overall El Capitan seems quite stable. I thought Mountain Lion had a much faster finder, but it’s Safari did not do the job and wasn’t being updated. Netflix would not work on it and it was just a matter if time before Apple would stop security update, so like many, I bit the bullet and upgraded to EC. Froze on reboot on two MacBook Pros. First one messed up my home directory. Second one has NOT completed and no indication of progress after first “thermometer” went away. Seemed to work fine on iMac. I can recover the second but it will NOT be painless and will have my wife upset with me. Hope this does not indicate a trend for Apple – patches should NEVER be a problem, indicates a serious lack of testing! The option to update to 10.11.5 “was” showing in the App Store about a week ago. Now I only have “No Updates Available” showing. “About This Mac” shows no update was performed, still on 10.11.4. I closed and reopened the App Store and restarted the mac. Still can’t get the 10.11.5 update to come back. I’ve spent hours looking for a fix and found nothing. My Google-fu was not powerful enough. I’ve never seen such a mess like this with OSX or it’s updates. You could download the Combo Update if you wish to update the Mac to OS X 10.11.5, assuming the Mac is compatible anyway. If it leaves my installed programs where they are I’m cool with that actually. I’m just not sure since nothing I’ve found on it said anything about it one way or the other. I would highly recommend backing up your Mac before updating system software either way, use Time Machine. Don’t skip a backup because things can go wrong and they are difficult to recover from where you have to reinstall Mac OS X, etc, or restore from a backup. Once you have backed up, you can use the Combo Update which will keep everything in place and just update the system software on the Mac to 10.11.5. Updated to 10.11.5 within the past week. Safari is the spinning ball of death, system is slow (despite plenty of hard drive space and RAM) and Mail is especially slow. In other words, the new OS messes up Apple’s native email and browser. Why haven’t they fixed these issues? Checking and unchecking the security box on Safari did nothing. Suggestions?? I just updated from 10.11.4 to .5 yesterday via App Store. When I logged into the computer today, my desktop picture was gone. Also launched Skype and had to authorize, which hadn’t had to do before. I checked System Prefs and issues I was having since upgrading to El Cap (sometimes it wouldn’t launch, yesterday I couldn’t open Time Machine until after several relaunches, other times it is other apps in Sys Prefs like Sharing) seem to be working now. I have gone in and fixed my desktop picture again (the file was still there, just not selected) and haven’t noticed any other quirks YET. I haven’t done any of the suggested things like Safe boot or manually running the combo update. Will update this comment if I find any other issues. Hey — had freezing spinning wheel every few seconds even after many restarts — in any program — even in finder. The solution was that the Mac had 10 desktops open. Solution was to go to Mission Control and close the latent desktops. — runs perfect now. Having tons of trouble with USB devices. Especially ones plugged into my thunderbolt displays. Anybody else having this problem? Solution? Why is spelling changing “Every time” into “overtime”?